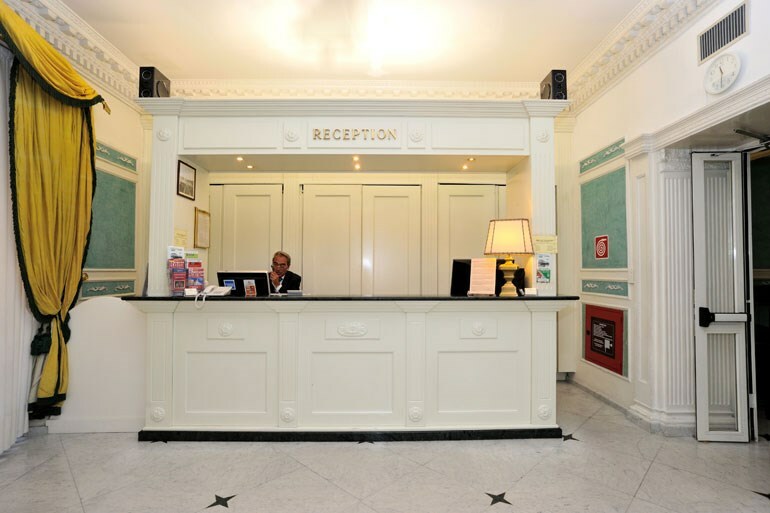 Hotel Virgilio, with a pleasant mix of the practical, comfort and courtesy, is a comfortable solution in Rome to stay right in the historic district, near the Colosseum and Termini Station. In medio stat virtus: the Latin saying fits this 3-star hotel in Romeperfectly, located right in the heart of the city: whether on your own or with a friend, for the weekend, on vacation or for business,Hotel Virgilio is always the perfect place to stay thanks to its wide variety of rooms. Hotel Virgilio helps you feel at home with its pleasant elegance, classic furnishing and modern services like Wi-Fi. Both our common areas and rooms have a truly relaxing atmosphere. It's clear that the staff at the new management is always willing to provide assistance and information. And its strategic position near public transportation and the most famous sites in Rome is another good reason to pick Hotel Virgilio.